Have a testimonial of your own to share? Fill out our short testimonial form at the bottom of the page. Thanks again for the great hospitality this past weekend. The guys raved about the entire set-up and how good of a job that you both did in making the trip a success. Kevin also did an excellent job with us and he is a real asset to your operation. I don’t know how much good I’ll be able to do for you as far as hunts go for this year from the people at Tyson headquarters in Springdale, but I had a good conversation with a guy yesterday that I’m hopeful will do you some good next year I’ll talk to you soon and good luck with the harvest until then. The Country Vet crew of Bill and I had a fabulous time at the Diamond A Ranch the last couple days. Your hospitality, food, & company is unmatched by any place that we could have selected to go. I am envious of you the beauty that surrounds your ranch is picture-perfect. 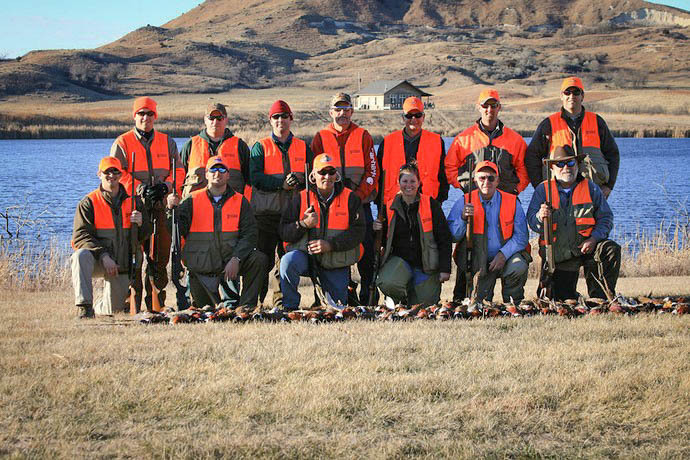 Our hunting experience at Diamond A, was as good as it gets. The wind that we had the first day offered us some added Challenges. Then the second day came with hardly a branch moving. Kevin also did a great job with the dogs in the field. Thank you both along with the rest of your crew for an experience that will not be forgotten. Hopefully, we will have an opportunity to come back sometime. 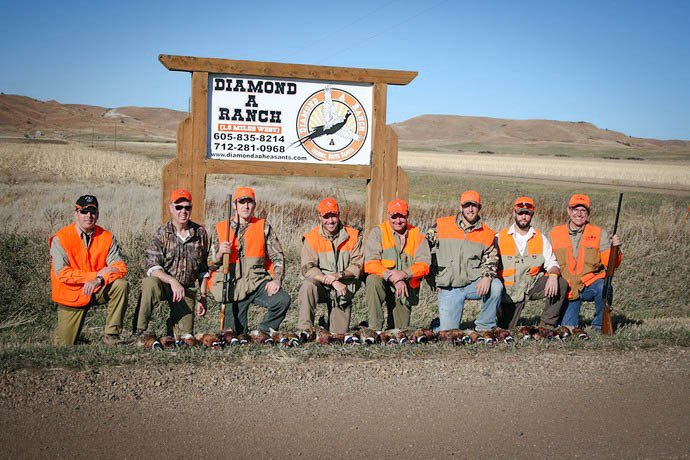 You can be assured that we will recommend Diamond A to anyone that wants a great hunting experience. 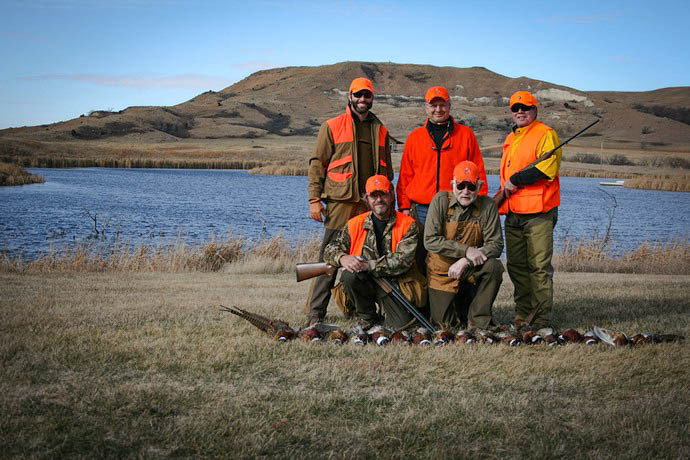 I wanted to let you know how much I enjoyed my experience hunting at Diamond A Ranch. I was up last month with my brother-in-law Geary Howey. 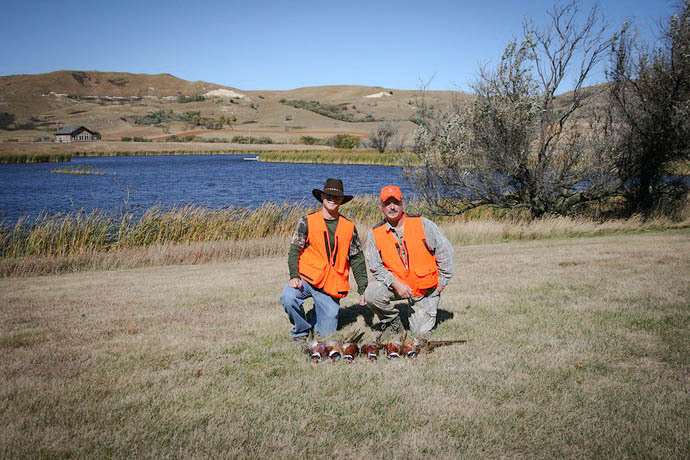 I grew up in Crofton, Nebraska, just across the river from the Yankton, South Dakota, but had never hunted in South Dakota. It was exactly what I hoped it would be. Your hospitality, guides, accommodations, and especially the food were spectacular. I wish you the best of luck in your endeavor.